AJ Schnack is a nonfiction filmmaker. His directing work includes Speaking is Difficult (2016), Caucus (2013), We Always Lie To Strangers (with David Wilson, 2013), Convention (2009), Kurt Cobain: About A Son (2006) and Gigantic (A Tale of Two Johns) (2002). 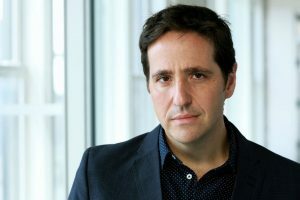 He has created episodic series on American electoral politics for Vanity Fair (Nomination, 2016), Fusion (Primaries, 2016) and Al Jazeera America (Midterms, 2014). In 2015, Schnack co-created the cinematic journalism production unit Field of Vision with Laura Poitras and Charlotte Cook, which has gone on to commission more than 40 short films and series and which won the International Documentary Association Award for 2016 Best Short Form Series. 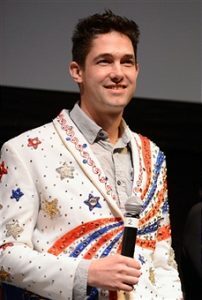 Schnack is the Founding Director of the Cinema Eye Honors for Nonfiction Filmmaking and a graduate of the University of Missouri School of Journalism. David Wilson studied filmmaking at Hampshire College in Amherst, Massachusetts before moving back to his hometown of Columbia, Missouri to embark on his filmmaking career. He has worked in fiction, documentary and music videos, making work that sweetly evokes the Midwestern landscapes that he loves. Kansas Anymore (1996) and Magic City (2001) were paeans to punk’s blend of hope and chaos, and both screened around the country as part of the PunkNotRock tours that Wilson organized. In 2003, Wilson received support from Creative Capital to co-create an experimental opera, The Nitrate Hymnal, with Bob Massey (produced with the Washington Performing Arts Society and Anti-Social Music). In 2004, Wilson returned to Columbia to launch the True/False Film Fest with partner Paul Sturtz. In 2009, Wilson returned to filmmaking and completed Big Birding Day, a short doc about competitive birdwatching. The film premiered at South by Southwest and Wilson was named to Filmmaker Magazine’s 25 New Faces of Independent Film list. We Always Lie to Strangers, Wilson’s first feature, co-directed with AJ Schnack, debuted in 2013 at SXSW before being acquired for distribution.